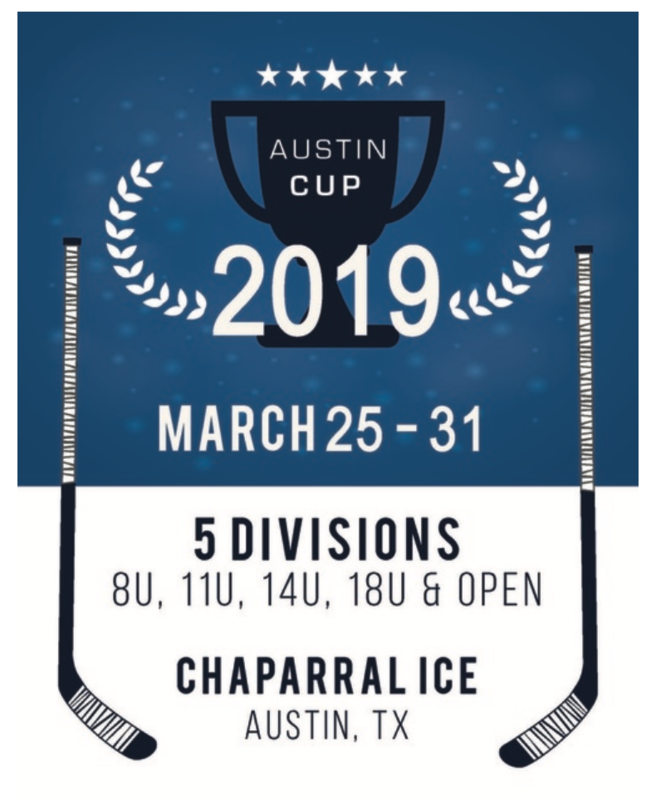 Earn Austin Hockey bragging rights at the Second Annual Austin Cup presented by Smarthockey, March 25th - 31st, 2019 (all weekday games are after school) in Austin, TX at Chaparral Ice or the HEB Center. The Austin Cup is for AUSTIN AREA HOCKEY PLAYERS (Texas Jr Stars, Texas Rising Stars & SA Players). If the link does not work, please go to www.smarthockey.com and click on tournaments. Also, check out our Memorial Day Tournament.